Be immersed in incredible landscapes and share the most dramatic moments in the lives of animals. 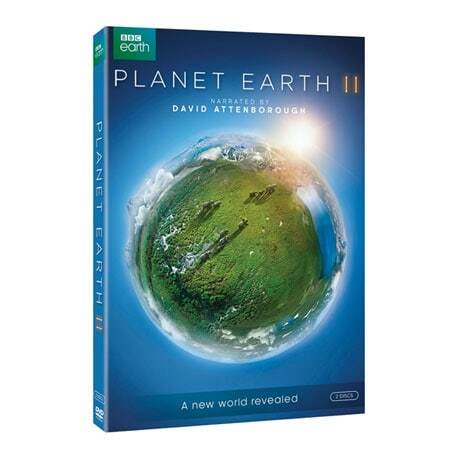 A decade after the original Planet Earth, the groundbreaking national history series, Planet Earth II goes farther, gets closer, and captures behaviors and places that would have been impossible 10 years ago. More than three years in the making, filmed in 40 different countries, it's a whole new view of our planet, captured in Ultra HD detail. Happily, Sir David Attenborough returns as narrator. 7 episodes, 6 hrs, 2 DVDs or Blu-ray discs.